In a year when great disc releases were just raining down, Slarek picks 25 of his favourite UK Blu-ray and DVD releases of 2016 and reflects on the number of titles he didn't get around to seeing or reviewing. Flicking through an initially scribbled down list of this year's favourite UK Blu-ray and DVD releases (for the first time in ages, I imported no discs at all in 2016), I was immediately struck, as I guess I have been for a couple of years now, by the fact that almost the same small handful of distributors as last year were behind each and every one of my picks. At a time when streaming movies and watching them on digital download is on the rise, these are the Guardians of Physical Media of this article's title, dedicated distributors who continue to release films on Blu-ray and DVD, often with the sort of extra features, packaging and loving attention to detail that we will doubtless all mourn should it ever become financially unviable for them to do so. There is, of course, a degree of personal bias to my allegiance to this stout group of distributors. The sort of films that I tend to covet on disc are rarely released by the major labels, and frankly the sheer range and volume of high quality titles released by the independents in 2016 is enough to satiate my needs and strip my bank account of any spare cash I might have squirreled away. That said, I should perhaps admit that I have actually bought films as HD digital downloads this year, but only when I could not lay my hands on a Blu-ray copy of the film in question. A prime example is Fred Zinnemann's riveting 1973 adaptation of Frederick Forsyth's The Day of The Jackal – my now ancient DVD sports a letterboxed, standard definition print, but for £8 on iTunes I found a 1080p HD version that blows this out of the water. Yet I still ache for a Blu-ray version peppered with extras and a print that has not undergone the sort of compression that all digital downloads are subjected to by default. A few years back, when the site had a larger (but still unpaid) writing staff, we used to get sent a small mountain of review discs every month from a wide range of distributors, but that has changed dramatically in recent years. Almost no-one now sends out review discs by default, and with the site writers now reduced in number and working on detailed reviews in what little spare time they have, it's perhaps just as well, as most would end up in the 'Watch Later' tray. Eureka and Second Run still send us copies of almost all of their releases, and Arrow's new PR people send us the majority of their titles too. We've also started getting discs from Indicator, an exciting new label whose releases are proving so far to be up there with quality titles from Arrow and Eureka, who along with the BFI and Second Run, continue to rule the roost. Other distributors, such as the BFI, Third Window and Second Sight, we have to email with requests for specific discs, so tend to be selective about what we will cover, and if a disc that we really want to review is announced but we already have a backlog, we usually have to pass. All of this can sometimes result in weeks where there are too many discs for us to cover in the sort of detail we prefer, and we are thus forced to let a few of them fall by the wayside, which I personally hate doing. I was also reminded recently that we have so far failed to cover any of Criterion's UK Blu-ray releases, which is frankly downright shabby given their consistently high quality and likely the only reason none of their titles are on the list (I'm sure I'll want to revise that when I get my hands on some of them). When I began selecting a few personal favourites from this year's releases, the list quickly shot past the expected 10 and even edged past 20. In the end, I decided to draw the line at 25, and that still meant putting a number of excellent titles in the 'almost made it' box. On top of that, there were a slew of discs that I've yet to even see, which will hopefully explain just a few of the glaring omissions. And not all are on the list for being feature-packed releases with amazing transfers – a fair number are there simply because I love the film in question and was overjoyed to finally have it on Blu-ray. It's hard to put into words how excited I was when first heard about this release, and to my amazement it actually surpassed my wildest hopes and expectations. 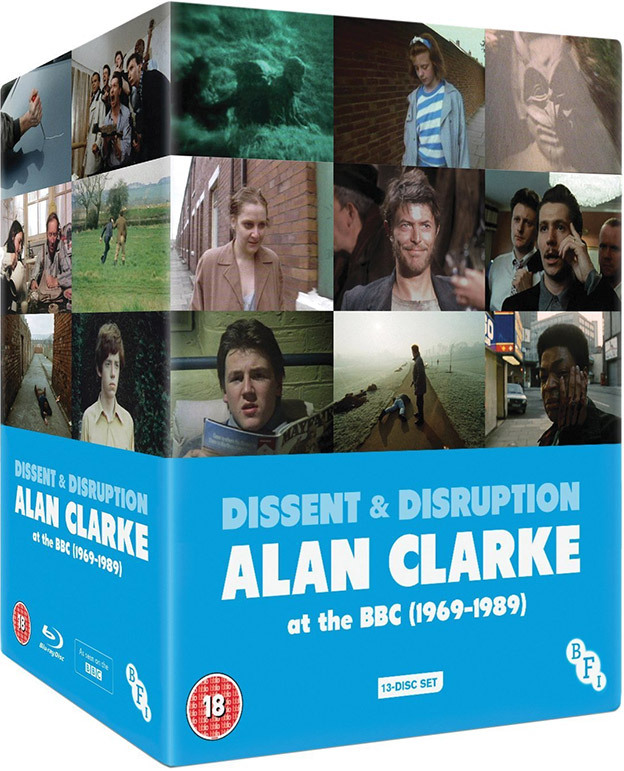 That it took so long for Alan Clarke to be widely recognised as one of this country's finest and most important filmmakers is doubtless down to the fact that he worked almost exclusively in television, and the sheer range and quality of his work in that medium is magnificently showcased by this comprehensive and beautifully presented set. As a long-standing fan of Clarke's work, you'd think I'd have jumped at the chance to review this release, but the sheer scale of the task – which would effectively require me to put all other reviews on hold for at least a month – saw me initially pass it up. Anticipation, curiosity and some friendly persuasion from the BFI's always helpful press officer eventually wore me down, and Camus and I agreed to split the job between us, with help on Penda's Fen from enthusiast for that particular title, Jerry Whyte. The result was far and away the longest and most detailed review we've ever published on Cine Outsider, spanning nine packed pages and leaving us both with word processor exhaustion. It's an absolutely sublime Blu-ray release that really is worth what every penny of what you'll have to fork out to if you still don't have a copy (and as I gave the review discs to Camus, buy it I did). A personal favourite from Miike Takashi and a film that still has me squirming in my seat every time I watch it, here getting the sort of release it's been crying out for. In a previous DVD incarnation, Audition was a Tartan Extreme title, one whose transfer – as it was with many Japanese horror imports released under this banner – was nothing to shout about, and the image quality jump here was everything I'd hoped for. Where it really shines, however, is in the volume and substance of its special features, with two commentaries, almost two hours of interviews, an appreciation by Tony Rayns, trailers, a gallery, and a typically fine booklet. For the immediate future, at least, this is likely to remain the definitive UK home entertainment release of the film. More horror? You bet. 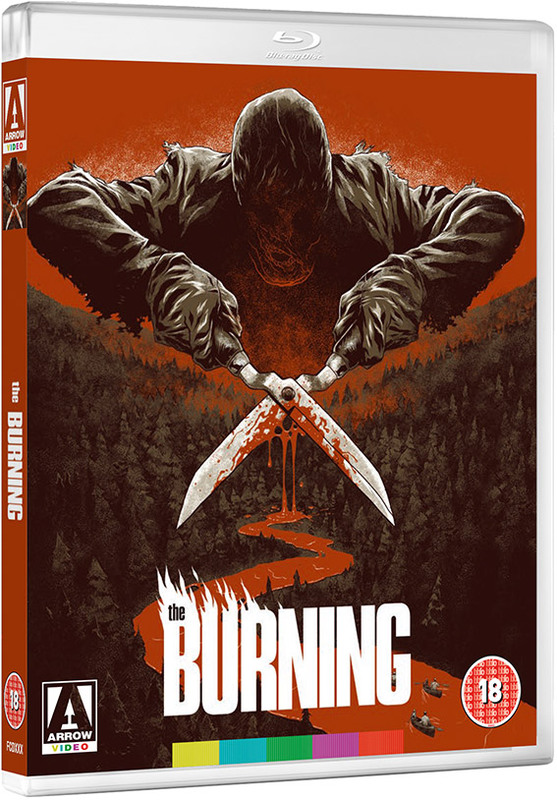 It's to our collective shame (well, mine and Gort's, but let's not get picky) that we didn't get around to reviewing this impressively featured Blu-ray from Arrow of what may well be the best of the post-Halloween slasher movies, a summer camp horror in which you actually give a crap about the fate of the young victims and even sympathise with the horribly burned killer. It's better written than most – two of the writers here were Harvey and Bob Weinstein! – and has a more likeable and decently directed cast, one that includes engaging turns from Fisher Stevens, Jason Alexander and Holly Hunter, amongst others. Arrow's dual format package is superb, boasting as it does a strong transfer, three commentary tracks, interviews (there's a terrific one with score composer Rick Wakeman), featurettes, behind-the-scenes footage and more. For horror buffs this was and remains an essential purchase. Had the Alan Clarke collection not also been released this year, this superb box set from Eureka's Masters of Cinema label might just have taken the crown instead. Yes, it is in some ways an HD upgrade of Eureka's previous DVD release of the same, but the restoration work that has been done in the interim makes such a difference that this effectively qualifies as a new release. 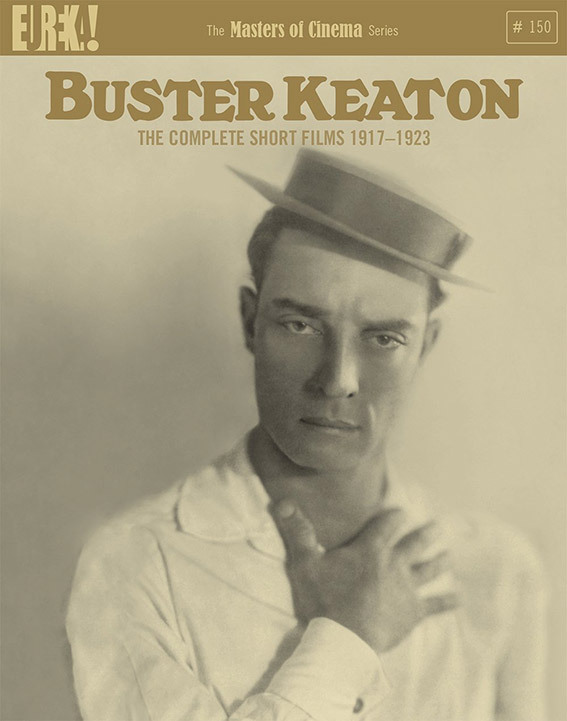 And just look at the content – 32 films featuring one of the greatest and most inventive of all silent comedians, plus an absolute slew of quality extras. A real showcase for the work of independent distributors like Eureka and the restoration houses who are helping to preserve and reconstruct films that might otherwise be lost to us forever. A set that every true film fan should own. OK, my personal bias is really starting to show now, but if you nip back a few years to when horror was not even considered to be legitimate branch of filmmaking by the snootier critical establishment, it was hard to imagine a time when cult genre films of any sort would be subject to the sort of loving restorations and feature-packed releases they are getting today. 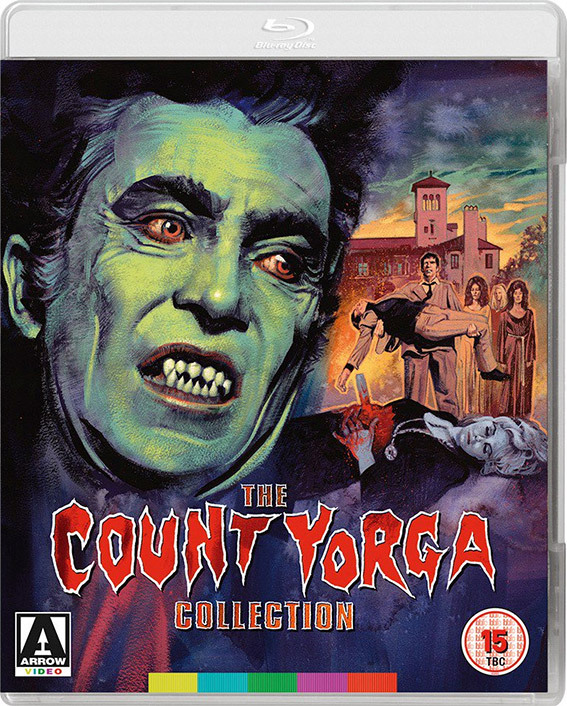 The 70s double of Count Yorga, Vampire and The Return of Count Yorga were teen favourites of mine, and to see them get the treatment that Arrow gave them here really warmed my heart. Strong transfers (of course), plus a commentary on each film and an appreciation by Kim Newman, and both films hold up really well as transitional vampire tales, marking as they do the moment when the genre made its first serious attempt to move the classical vampire into the modern age. Two of the most important, ground-breaking and downright brilliant documentaries ever made, both of which were directed by visionary filmmaker Peter Watkins for the BBC. 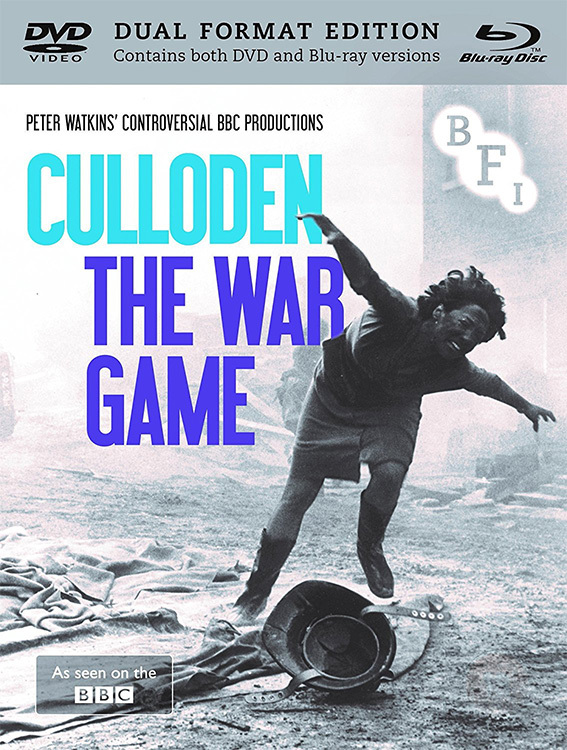 The 1964 Culloden tells the story of the 1746 Battle of Culloden, which remains a stain on English military history for the horrors that were inflicted on the defeated Scottish forces, but did so by covering events as if a TV documentary news crew had been present at the time. It just shouldn't work, but it does, and sublimely, delivering a sobering history lesson that places us in the midst of the battle and personalises its effects on those taking part on both sides. In the following year's The War Game, Watkins employed the same technique to explore the likely effects of a nuclear attack on Britain, in the process creating a work so traumatically real that the BBC hierarchy refused to screen it. 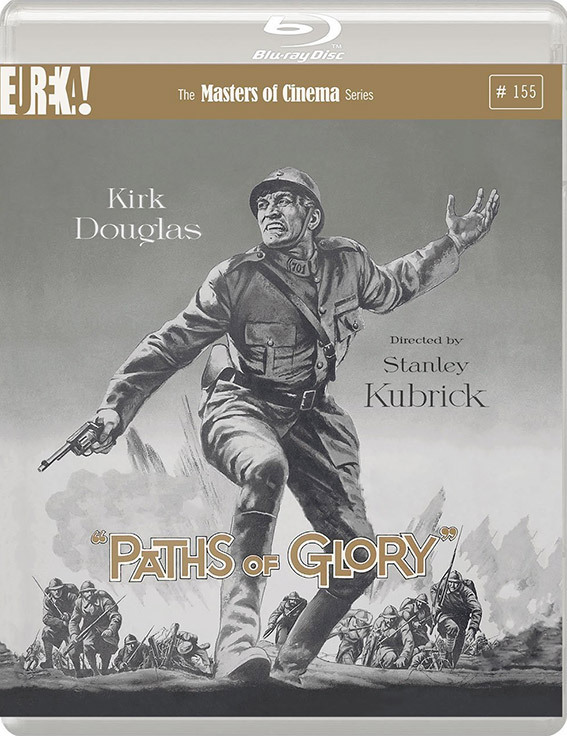 The restoration work done on both films (and sequences in The War Game were deliberately roughed up by Watkins and editor Michael Bradsell) has resulted in them looking far better than I've ever seen them, and the supplementary features are of excellent quality. If I was restricted to picking a top five of the year, this would definitely be on it. 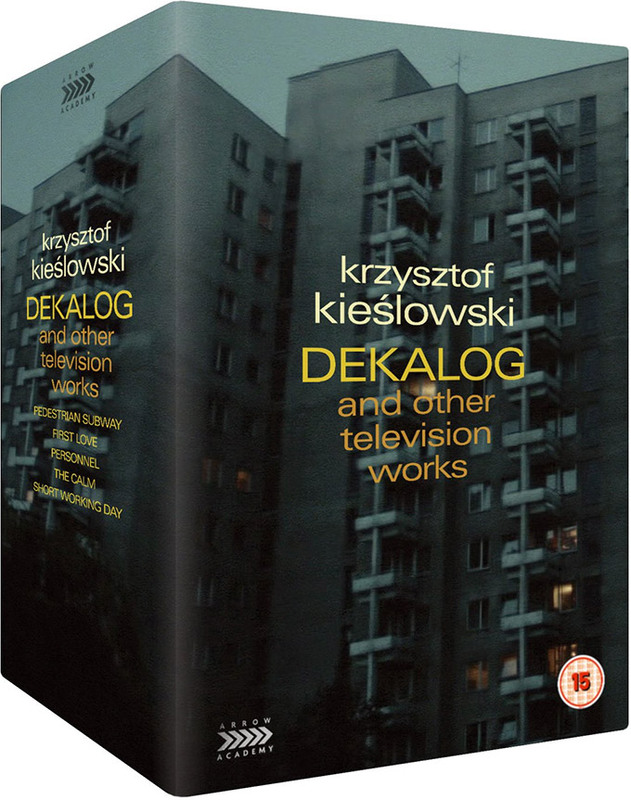 A beautifully packaged collection featuring 4K restorations of Krzysztof Kieślowski's rightly celebrated series of films inspired by the Ten Commandments made for Polish TV, a monumental work that should be required viewing for all cineastes (as should just about everything by Kieślowski). The series even gave birth to feature-length versions of two of the episodes in the shape of A Short Film About Love and the deeply disturbing A Short Film About Killing, which weren't included in this package due to a UK rights issue. It matters not, as for the series itself, the impressive transfers, the supplementary features (which include other TV work by Kieślowski that few in the UK would have had access to before) and a mother of a booklet make this one of the finest releases yet from the Arrow Academy label. It's a set we had fully intended to review but which fell victim to personal circumstance and the time investment that I believe would be required to do a set like this justice. So here's the short version: it's superb – get it. You see what I did there? Yep, I cheated and instead of selecting a single title I chose five. The reason is simple. As a long-standing devotee of Kitano Takeshi's work as a director, I spent years getting by on iffy transfers and genuinely never believed I'd ever see any of his earlier films land even a decent DVD release, let alone appear on Blu-ray with restored transfers and new special features. When compiling this list, I knew I'd have to pick one as a flag-waver for this fine set of releases from Third Window Films, but having written this piece three times already for three separate titles, I gave up trying to pick one and chose them all instead. I did have small issues with some of the discs (think on the level of a single, albeit significant, missing subtitle on A Scene at the Sea), but this was easily eclipsed by the films themselves, the generally high standard of the transfers, and some superb extra features, which include commentaries, interviews, and most thrilling of all, Shinozaki Makoto's a hugely enjoyable and informative, feature-length documentary on the making of Kikujiro, Jam Session. Any chance now of Sonatine? What, Arrow again? You'd better believe it, and as long as they keep producing releases of this quality – which extends to the packaging and physical contents, things that make releases like this collector's items – this particular distributor will continue to dominate my end-of-year lists. 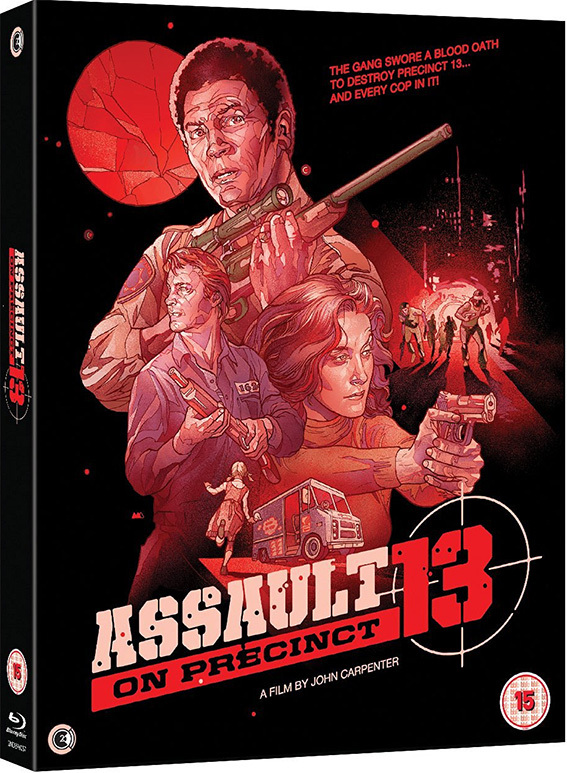 Previously released on Blu-ray as an 'Ultimate Edition' by the now defunct Metrodome with a seriously sub-standard transfer, here the film gets the treatment it has for so long deserved. Sourced from a new 4K restoration supervised and approved by director Richard Kelly and cinematographer Steven Poster, the image quality is absolutely pristine on both the theatrical and director's cut of the film, and is accompanied by 3 commentaries, interviews, documentaries, featurettes, deleted scenes, galleries, trailers, b-roll footage, infomercials, a music video, a pack of postcards and a gloriously produced hardback book, at least if you got your hands on the Limited Edition. A lovely package. A tricky one, this. With Arrow's support, Second Run took their first steps into the world of Blu-ray this year, and in a move that I'm tempted to suggest typical of this adventurous label, they seemed to choose titles that wouldn't select to showcase the HD format, ones such as Apichatpong Weerasethakul's Mysterious Object at Noon, which was shot on grainy 16mm monochrome reversal stock. 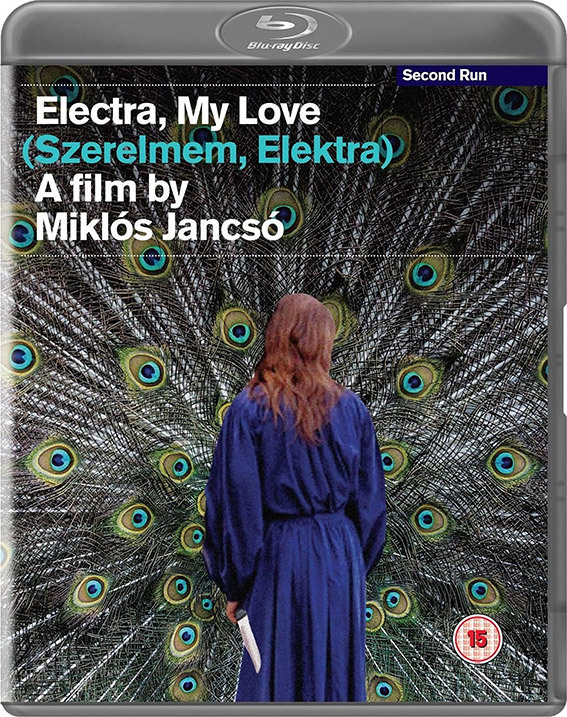 Miklós Jancsó's 1974 Electra, My Love was shot on 35mm and has been restored for this release by the Hungarian Digital Archive and Film Institute under the supervision of the film's cinematographer János Kende, yet despite its generally pleasing appearance, it never quite hits the heights that Blu-ray is capable of delivering (any restoration is at the mercy of the source material). But oh, the film. The ancient Greek myth of Electra and Aegisthus is reworked and relocated to the exterior of a small Hungarian grassland settlement, and the story is told as a staggeringly choreographed mix of movement, dance and dialogue involving a cast of what looks to be hundreds of people. Astonishingly, the whole thing is captured in just 12 beautifully executed takes in which the camera glides, cranes and moves from epic wide shot into intimate close-up without missing its mark once. Put aside any small reservations you might have about an otherwise solid transfer, this is a film to see and be stunned and seduced by and at present this is absolutely the version to get. The disc also includes a conversation with cinematographer János Kende and a booklet featuring a new essay on the film by Peter Hames. A guilty pleasure? Perhaps, but my first encounter with the Female Prisoner Scorpion tetralogy was one of the pleasurable surprises of 2016, and for me this is Japanese exploitation cinema at its vibrant and chance-taking best. What really stands these films apart from any number of women-in-prison or vengeful female cheapies is principal director Itô Shunya's adventurous and boldly experimental approach, infusing exploitation storytelling with avant-garde techniques and moving effortlessly between the two, often in the course of a single sequence. The films also have one of the most iconic antiheroes in the resolutely stoic Nami Matsushima, played with studied cool by Kaji Meiko, who also sings the popular theme song that fronts all four titles. A solid set of transfers is backed up by an absolute truckload of special features, which makes this set a must-have for fans of the films or anyone with a fondness for Japanese exploitation cinema. I always get a buzz when a distributor with Eureka's track record announces that they will be releasing a film on Blu-ray or dual format that was made in America in the 1970s, a golden age for director-led works and genre titles that refused to play to formula or audience expectations. 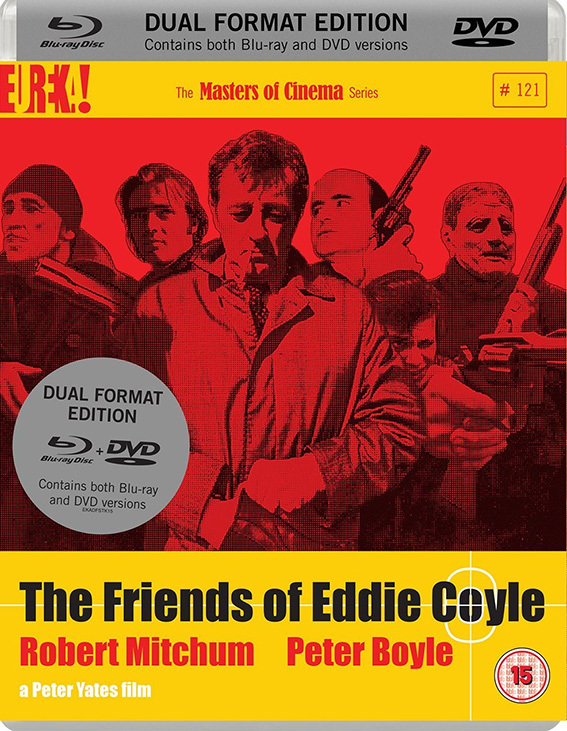 The 1973 The Friends of Eddie Coyle was one of a slew of personal favourites from this lucrative period, and watching it again after a gap of several years it seemed to play better than I ever remember. A seductively literate script from Paul Monash, impressively low-key direction from Bullitt and Robbery director Peter Yates, a near-career best performance from Robert Mitchum and a strong supporting cast – one that includes Peter Boyle, Steven Keats, Richard Jordan, Joe Santos and Alex Rocco – mark this as one of the key American crime films the 70s. It looks better than ever on this Masters of Cinema Blu-ray, and while they extra features are small in number, they are substantial in content. One of the best and most comprehensive releases of the year is also the source of our biggest shame, a review that was delayed by personal circumstance and that our horror specialist Gort took on regardless, his aim being to cover it as a series of separate reviews, only to also find himself the victim of outside forces. If you believe, as some do, that Lewis was a no-talent creator of tawdry, micro-budget exploitation trash, then all the fancy packaging and special features in the world is not going to convince you of this set's worth. 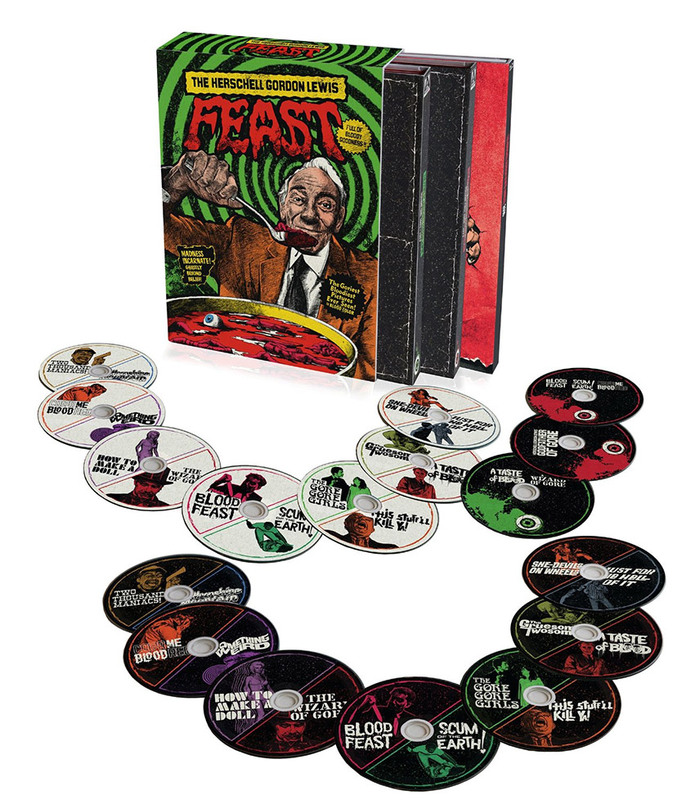 If, however, you have a soft spot for the Godfather of Gore, then you'll be in pig heaven, assuming, of course that you can afford to splash out the dosh you'll need to cough up if you plan on buying it. What you get is 14 films, some restored to pristine condition and a couple seemingly rescued from near death, plus an absolute ton of extra features – seriously, each of the discs in this set could be released as stand-alone titles and they would all easily qualify for special edition status. The Limited Edition Shock and Gore set had even more (and cost even more), but you'll be lucky to find one now. This is one title I was genuinely looking forward to reviewing, but unfortunately it's one of the few titles that Arrow didn't send us. The Hills Have Eyes is one of those wonderful, out-there 70s horror films that, like its spiritual predecessor The Texas Chain Saw Massacre, I have a long-standing personal history with, and I'd already written the opening paragraph of the review in my head. But the disc didn't show and the release came and went while I was busy on other things, and only later did I think to pick up a copy of the Limited Edition before it sold out. And it's a terrific release, as lovingly packaged as ever and boasting a transfer of the film that knocks the spots off my previous (and much watched) DVD, which is backed by a whole slew of quality extra features, including documentaries, galleries, trailers, three commentaries, six postcards and a fold-out copy of the poster (yay!). If you can still find a copy then grab it. Another victim of bad timing, this Arrow Academy dual format release of a film I was previously unaware of was one I didn't get around to seeing until after the release date had passed, but so beguiled was I by it that I started work on a review anyway, one that other impending releases ultimately prevented me from completing. 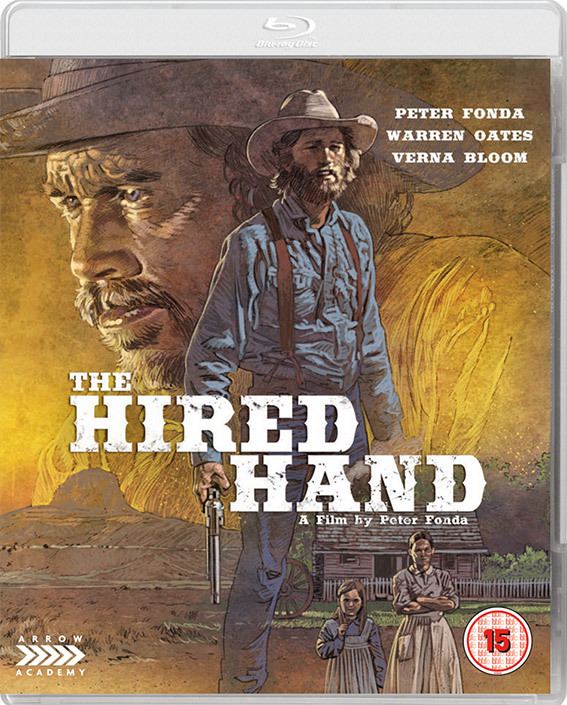 The unassumingly titled western, The Hired Hand was the directorial debut of actor Peter Fonda, who also stars as Harry Collings, a wanderer who decides to return to the wife and child he walked out on seven years earlier, a journey he undertakes with his close friend Arch, whose played by site favourite, Warren Oates. Verna Bloom has been rightly praised for her captivating performance as Harry's wife Hannah, but what a pleasure it is to watch Oates relish the too rarely offered opportunity to play the nicest guy in a film. It features some gorgeous cinematography by Vilmos Zsigmond and a hauntingly effective (and, for a western, atypical) score by folk musician Bruce Langhorne, two elements that come together in sublime harmony in the beautiful and visually and aurally hypnotic opening sequence. For me, this was one of the rediscoveries of the year, and it looks terrific on this Arrow Academy Blu-ray, whose principal extra feature is a fine commentary by Peter Fonda. As I intimated above, Second Run do seem to like a challenge, and after years of delivering sometimes excellent DVD transfers of an eclectic range of titles, for their first venture into HD they chose a film that was shot on standard definition digital video. And they made it look amazing. 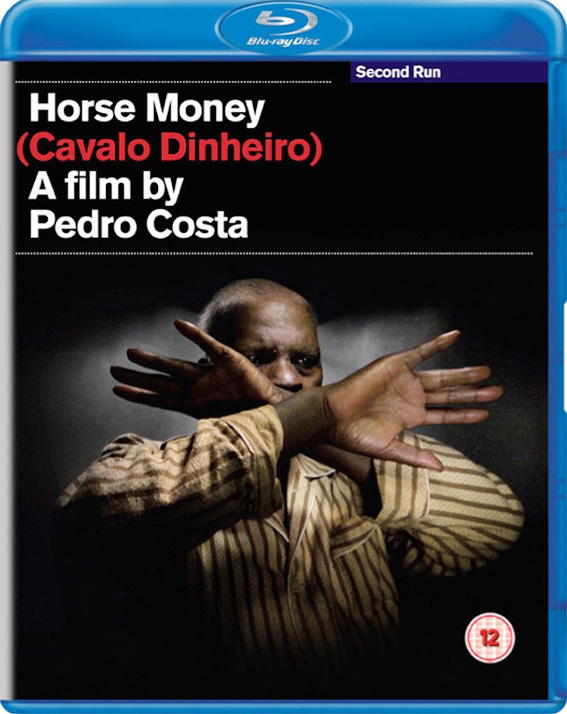 Having already been knocked for six by the imagery and unique texture that director Pedro Costa was able to create with mini-DV in Colossal Youth, I was also bowled over by the similarly toned Horse Money, but this time was able to appreciate it at pristine quality. Not everyone will warm to Costa's unique, minimalist and almost hallucinatory approach, but if you do then this is the best presentation of his work I've yet seen. But that's not all. 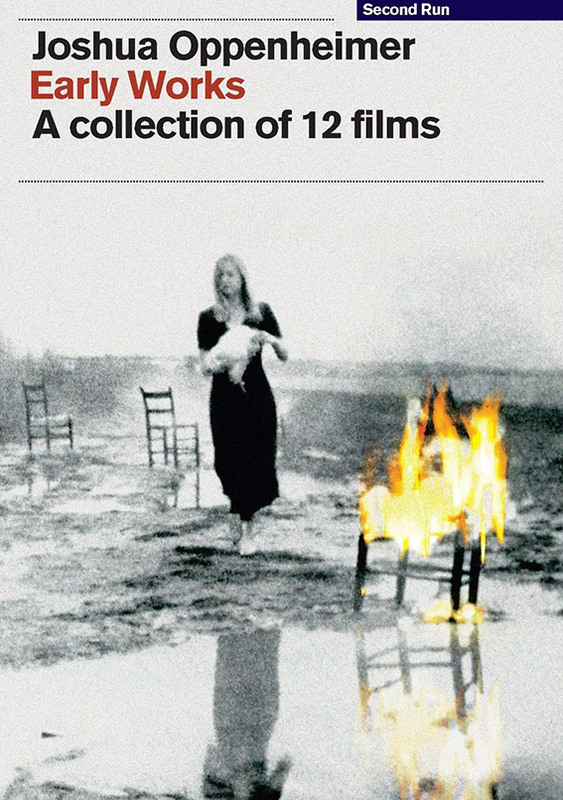 The disc also features Costa's 2010 short film O nosso homen, an introduction to the main feature by filmmaker Thom Andersen, a recording of Pedro Costa in conversation with celebrated film theorist Laura Mulvey (which runs for 41 minutes), trailers and a booklet. A bold and brilliant first Blu-ray from Second Run. The only DVD on this year's list (I've become something of an HD whore over the past year) proved to be one of the most intriguing film collections I've yet encountered on disc. This trip through The Act of Killing and The Look of Silence director Joshua Oppenheimer's early experiments with film and digital video was clearly designed to be watched in a single sitting, something the disc itself facilitates by automatically playing the next title as soon as its immediate predecessor has finished. This in turn takes us on a fascinating trip through Oppenheimer's development as a visual artist and documentarian, on the way providing pointers to the style and content that would define the films with which he would later make his name. Another unexpected treat from Second Run. OK, this is simple. 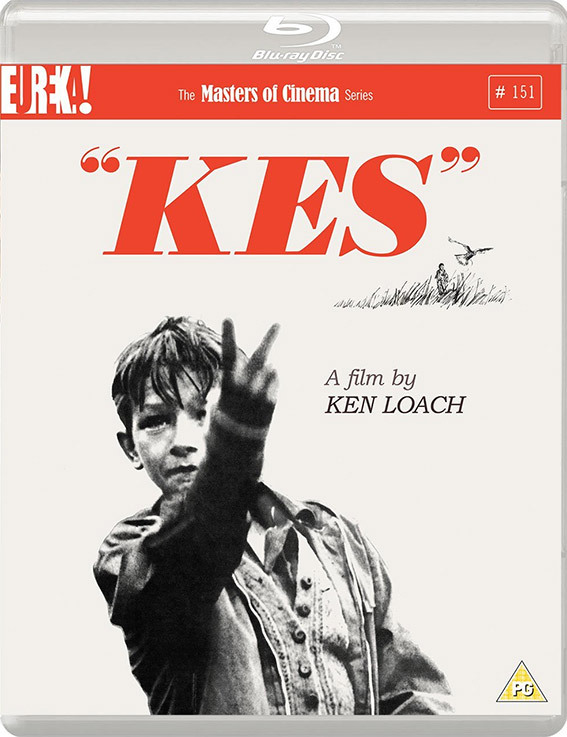 Kes is a film that everyone at Cine Outsider adores, and it remains to this day director Ken Loach's most widely and frequently celebrated feature, despite the extraordinary body of work he has made since. This Masters of Cinema dual format release was for my money one of their very best of the year – the transfer is vibrant and brought a film I always thought of as visually gritty to life, and is supported by a terrific collection of extra features, with seven substantial interviews with cast and crew members, a hugely enjoyable 70-minute on-stage interview with Loach, an hour-long reunion panel recorded at a 2006 screening of the film at the Bradford Film Festival, a trailer and a fine booklet. Even the alternative soundtrack, on which some of the voices were redubbed to 'soften' the Barnsley dialect, has been included here. As complete a home entertainment release of the film as you could ask for. Now this is how a classic western should look on Blu-ray. The final collaboration between director Anthony Mann and lead actor James Stewart is a long-standing personal favourite that just seems to get better and feel more layered and thematically complex with every viewing. I always get fired up when Eureka announce they are releasing a western from the 50s or 60s on Blu-ray, as I just know it's going to look great and will almost definitely have a handful of worthy extra features. 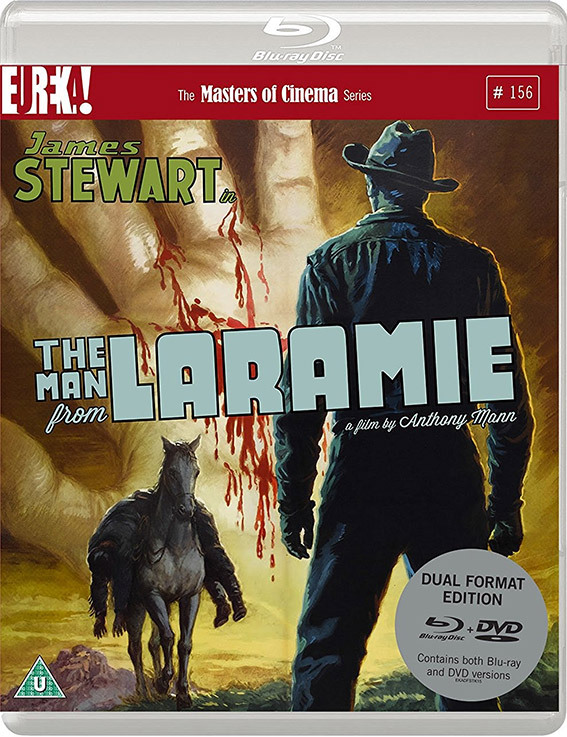 Last year they delivered a dynamite special edition of George Stevens' masterpiece Shane, and did a damned fine job Anthony Mann's superb final western Man of the West, and their dual format release of The Man from Laramie sees the high standard set there maintained. A beautiful transfer, a fascinating analytical commentary by Adrian Martin, an enjoyable interview with Kim Newman about the film and an excellent booklet make this a must-have for even the most casual western fan. 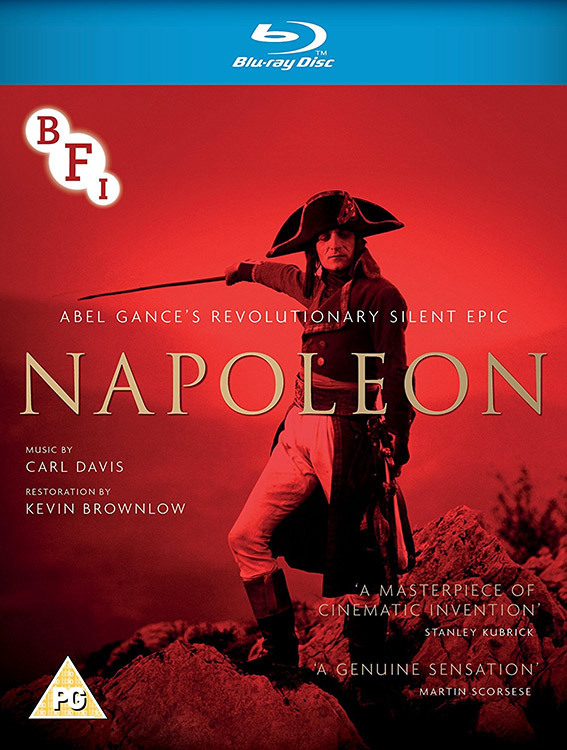 When I first heard that the BFI were releasing the new restoration of Abel Gance's epic 1927 masterpiece Napoleon on Blu-ray I was excited, and I mean really excited. It's one of my all-time favourite films, and for a while was the one that was first to trip off my tongue when anyone would ask me what I thought was the greatest movie ever made. Yet I didn't ask for the review disc or get around to buying it until almost a month after it hit the shelves. So why the delay? Well, it comes down to this. My first exposure to the film was on the big screen in a very large theatre with live orchestral accompaniment. When it hit its celebrated final act and the single, 1.33:1 screen we'd been watching for five hours expanded at both sides to its 4:1 Triptych majesty, the effect was genuinely overwhelming. I just knew that this could not be reproduced on a TV screen of any size for the simple reason that the screen cannot expand, which meant the height of the image would instead have to substantially reduced at this point. Clearly, this would serious reduce the impact of this moment. Yet while this did indeed prove to be the case, the restoration is so impressive and there's just so much that's absolutely wonderful about this extraordinary film that this matters little. And despite lacking the overpowering scale of the big screen experience, the final Triptych scenes still knock you for six in their majesty, their ambition and even the almost avant-garde daring of the editing and image juxtaposition. Amazing. One of my all-time favourite films arrived on Blu-ray with a gobsmacking transfer and a fine collection of extra features – this, for me, was Kubrick's first masterpiece and remains one of his finest achievements. Breath-taking in its filmic precision, its storytelling economy (I still find it hard to believe it tells its story and builds such a rich set of characters in a compact 88 minutes) and its sheer, kick-in-the-gut emotional impact, it's one of the very few times that I've watched someone get angry at the injustice being portrayed on screen whilst the film is unfolding in front of him. It's a work about which whole books could be written, and which seems to feel richer and more structurally and thematically complex with every viewing. Great to see the film in its correct 1.66:1 aspect ratio and looking as pristine as it does on this disc, and its joined by another fine commentary by Adrian Martin, three useful pieces by film scholar Peter Kramer, actor-director Richard Ayoade and film writer Richard Combs, and a typically fine booklet. Second Run's third Blu-ray release was a film that I should have neeen aware of but wasn't and which I was absolutely enthralled by it. 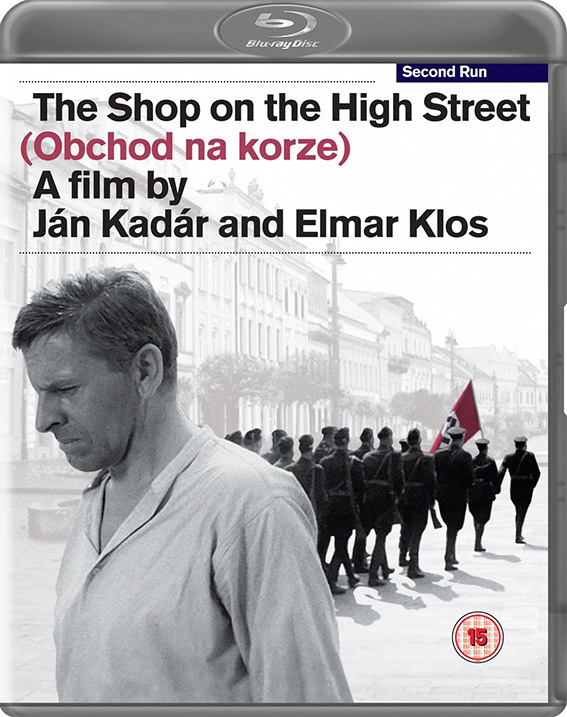 Directed by Ján Kadár and Elmar Klos, The Shop on the High Street [Obchod na korze] is set in Nazi-occupied Czechoslovakia in 1942 and tells the story of disgruntled carpenter Tóno, who is appointed by his Hlinka Guard brother-in-law Markus as the Aryan Masters of a sewing supplies shop owned by ageing Jewish widow Rozalia. What initially unfolds as a delightful, character-centric comedy-drama with darker political undertones takes an altogether more serious turn in the second half, climaxing in a nail-biting sequence in which the now more conscientious Tóno attempts to make Rozila understand what is happening in the street just outside her door, where local Jews are being rounded up to be shipped off to concentration camps. It's a remarkable film that prompted me to research historical events that I previously knew too little about, and is handsomely presented on Second Run's Blu-ray. When I asked a close friend of mine a couple of months back if he'd seen any good films recently, this was the first one he mentioned. If you've not caught it yet, do yourself a favour and get this disc. This was a film I had not even heard of when the BFI announced that they were releasing it under their Flipside banner. Then again, that's perhaps not all that surprising given that this was effectively a lost film for some years and had even made its way on the BFI's 'Most Wanted' list. The original negative was eventually found and the film was restored, and it's an absolute revelation. 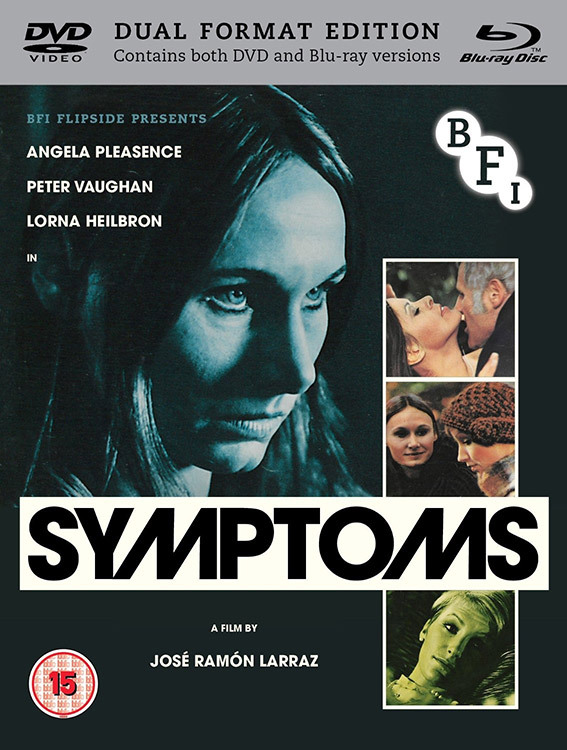 An atmospherically directed (by Spanish filmmaker José Ramón Larraz) and deeply unsettling psychological horror set in the isolated British countryside, it boats a superb central performance by Angela Pleasance and fine support from Lorna Heilbron and Peter Vaughan. The transfer is way better than the 'lost film' label might lead you to expect, and the disc is packed with impressive extra features. This is just the sort of restoration and release that makes me cheer for the BFI and the work that they do and help fund. As if the combined efforts of Arrow, Eureka and Second Sight were not delivering riches aplenty for fans for cult cinema, along comes Powerhouse Films and its new label Indicator, whose first slate of dual format releases easily matched the quality of the output from all three of the above mentioned and long established labels. As with the Third Window's Kitano discs, there was a temptation to put all six of Indicator's 2016 titles on this list (well, maybe five of them – see below), but here I had a very definite favourite, one that I also feel is their strongest release to date on all fronts. 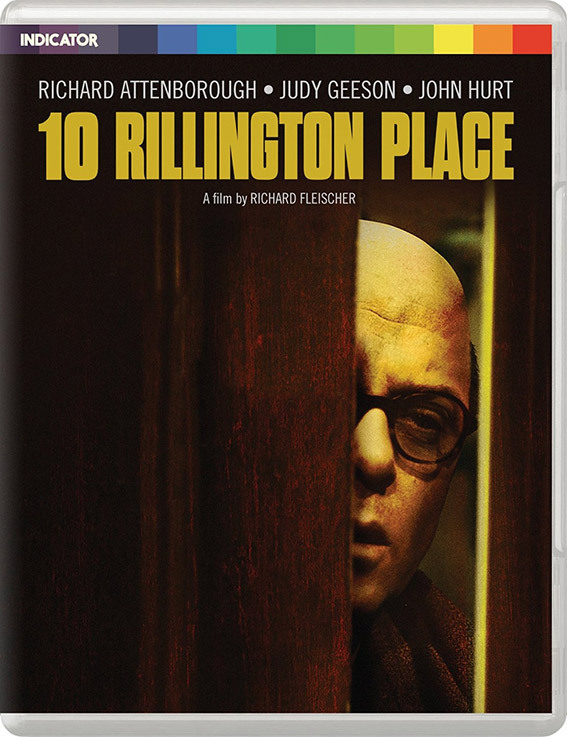 I've been a long-standing fan of Richard Fleischer's immaculately handled and deeply disturbing retelling of the case of British serial killer John Reginald Christie and his unfortunate lodger Timothy Evans, and the Blu-ray in this dual format package is everything I could have hoped for. The transfer is utterly gorgeous, and the extra features – which include two first-rate commentary tracks – really are first-rate. I was intrigued to note that a couple of the contributors to Sight & Sound's pick of discs of the year went for Indicator's dual format release of De Palma's Body Double, a first-rate disc of a film I liked a lot more than when I first caught it but which I still have some serious issues with. I stick with Christie.